Your professional future starts now. Enter the Bertelsmann world and apply to Mohn Media – simple, uncomplicated and online. We look forward to hearing from you! You can upload all of your application documents directly to our online application portal and apply for your chosen job quickly and easily. Sorting through the applications – who looks like a good fit? Once we have received your documents, you will be sent a confirmation. The HR department makes the initial selection together with the relevant specialist department, based on the documents provided as part of your application. We are keen to get to know you better. You will be introduced to a colleague from the HR department and the relevant specialist department in an initial telephone or face-to-face interview. You will have the opportunity to talk about your background and receive some basic information about the job that is being advertised. You have made a great impression on us – thanks to both your job -related skills and your personality. We would now like to welcome you into our team. The next steps are as follows: after the interview you will receive a concrete offer from us. Once the i’s are dotted and the t’s are crossed, your professional future at Mohn Media can commence. On our job board, you will find current vacancies in various areas of our company. Apply online – we look forward to receiving your application! Mohn Media is part of the Bertelsmann group. There are lots of opportunities to join our company and work in a variety of areas. Take a look at the positions on offer in the world of media, and get an overview of the many opportunities available. 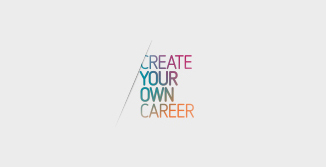 Discover the jobs we offer in the fascinating world of media at Bertelsmann!